High Fructose Corn Syrup: What Do High Fructose Corn Syrup and Diddy Have in Common? 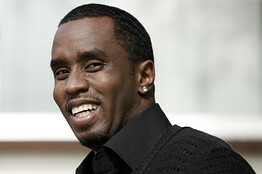 What Do High Fructose Corn Syrup and Diddy Have in Common? High fructose corn syrup is attempting to join a long line of corporate name-switchers, from Diddy (formerly P. Diddy, and even more formerly, Puff Daddy) to prunes (now also known, with fewer digestive-system connotations, as “dried plums”). The Corn Refiners Association said today it has petitioned the FDA to let manufacturers instead use “corn sugar” as an alternative, hoping to “provide clarity for consumers” who are confused about the sweetener, Audrae Erickson, president of the refiners group, tells the Health Blog. The corn syrup industry has been practicing deception and misdirection for a while. They operate under the guise of a group called 'the Center for Consumer Freedom,' providing propaganda that poses as education.